Feminine Prosperity – Orocrea Jewerly s.n.c. A ring that tells a story of wealth and strength. 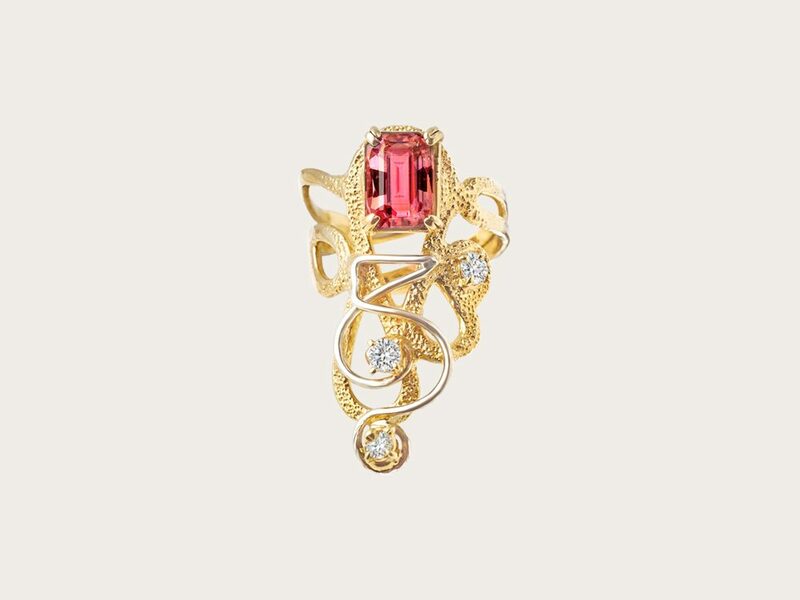 This is a ring that beautifully reflects the true essence of the Atlantis collection. It symbolizes the manifestation of the sacred feminine energy into the material world. Furthermore, the union of the masculine and feminine principles is powerfully communicated by combining yellow gold (the solar metal for excellence) with a white golden symbol for femininity. The gems are glittering diamonds and a bright red ruby: they elegantly express the purity of of the vital force through colors. The ring is activated to attract synchronic energy and positive events into your life and to help you express your unique talents and your souls highest potential.